The people on this page, are those who have carried out an important role in some of the observatories described in this site. Sometimes in more than one. Some of them have became a legend, among amateur astronomers, for their final results, for the incredible targets reached in the course of the years, for a whole life dedicated to the realization of a dream. Some of them have left this world. They all have in common the great passion for research and knowledge and the desire to see far hahead, through the telescope or by whatever means, in order to try to understand, even in minimum part, the universe we live in. 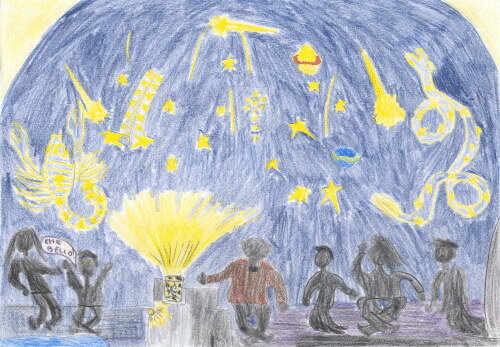 The drawings in this page have been painted by some young students of varius Italian schools and kindly granted by the Unione Astrofili Bresciani. 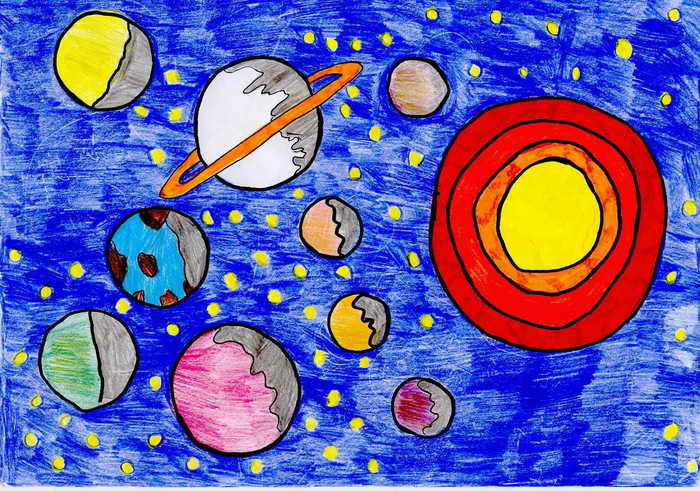 In order they are: drawing by a student of the Primary School A.Moro of Biassono (Milano) and a drawing by Ivan (aged 10). Primary School of Ponchiera (Sondrio).